A charming "mini-catt" that seems to bloom forever! 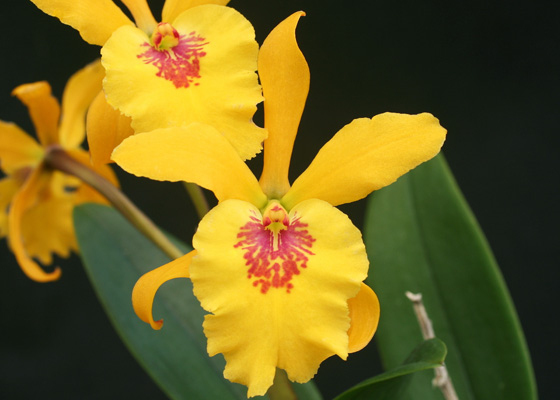 The flowers are about two inches across, and are a deep yellow with a patch of red on the center of the lip. The overall plant height is about twelve inches tall. 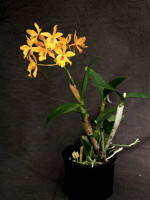 From the cross between Laeliocattleya Gold Digger and Epidendrum stamfordianum. .Temperature Tolerant. September-October blooming.